It is easy to overcomplicate the process of gathering and using strategies. Thoughts accompany behaviour. We may be well aware of the behaviour and totally unaware of the thoughts that accompany it. The thoughts have been conditioned (programmed) over time so that they just happen. The thoughts happen repeatably and they result in the behaviour. If we want to create a skill and just concentrate on the behaviour, ignoring the thoughts, then we are likely to only have half of the story, getting poor results. If we want to change a behaviour and concentrate on altering that behaviour but we ignore the thoughts that accompany it then we will probably just get temporary change. The essence of NLP strategies is that we all use a sequence of internal representations (IRs) in order to accomplish things in life. These are our thoughts. We have thoughts before behaviours and thoughts during behaviours. The thoughts that we have prior to the behaviour are the triggers for the behaviour. The thoughts that we have during the behaviour are the ones that we use to carry out the behaviour. We use repeatable sequences of IRs (thoughts) in order to carry out things that we are skilful at, for example a complex task at work, and in leisure activities. We use repeatable sequences of IRs in our habits, our good habits and our bad habits. We use strategies in our communication with others, for example to feel loved, to show someone else that we love them. We use strategies in order to make decisions, big and small. These sequences are often carried out at the unconscious level. We are not consciously aware that we are doing them. We have effectively programmed our internal system to carry the sequence out and repeat the strategy every time we need it. How can we use NLP strategies? As we know, sometimes we do things and get great results that we want. If it is a precious skill then we can understand our strategies and teach others so that they too can repeat them without conscious effort. Sometimes we do things, we do them our of awareness and they bring us results that we do not want. By understanding the sequence of IRs that we use to produce these things we can learn where our strategy is causing us problems and we can change the sequence of IRs, thereby reprogramming our inner system. We can use strategies when working with others to help them in the same way. We can use our skills in NLP in order to discover strategies that are not working effectively for them, change them so that they get better results. We can do this to help people overcome phobias, overwhelm, confusion, procrastination, change bad habits etc. We can also model other peoples behaviour by discovering their strategies and doing them ourselves. This is done by repeating the same sequence of internal representations. Modelling excellence is one of the amazing outcomes of NLP. Often strategies run based on a trigger. The inner trigger may be one internal picture, sound or feeling that sets off our strategy and our sequence of IRs. By identifying the trigger (the IR that sets off the sequence) we can change it using NLP Submodality exercises like the Swish pattern and therefore change the results that we and others get. If we change the trigger then we change the sequence of IRs that follow and we get different behaviour. We can also use NLP anchoring to anchor the sequence of IRs into place. Just like in chaining anchors exercises we can chain a sequence of anchored IRs into place one by one and then set them off simply by setting off the trigger. 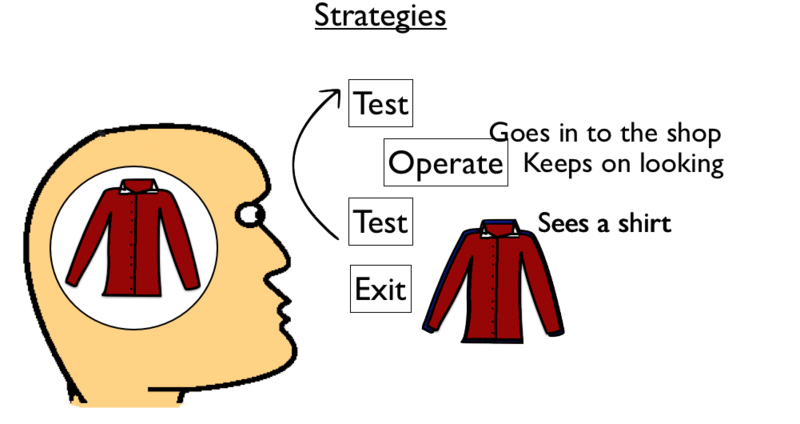 There are several ways of “trying on” a Strategy and you will probably feel most comfortable doing it in the way that suits your preferred way of thinking, you preferred Representational System (here is a test for that). If you have a visual preference then you will feel most comfortable by visualising each stage of the strategy, see yourself doing each stage, visualise the sequence and individual steps, the individual IRs. Do them one at a time and then chain them together in your thoughts. If you have a kinaesthetic preference then you will feel most comfortable by using a system where you place physical steps on the floor, each representing a step (IR) in the strategy. Move from one step to the next and as you do that try the IRs on in your thoughts. Once you have done this several times you can then just have one place on the floor where you step into it and the strategy will run all of its own accord. If you have an auditory preference then you will feel best by talking yourself through each step (IR) in the strategy, one after the other. Do this several times and then just say to yourself “it’s time to do this.” The strategy will then run, one step after the other, automagically. Bear in mind your preferred system and how you get the best results. The absolute best way to “anchor in” a strategy is actually to use all three of these systems. Have places on the floor (pieces of paper work well) for each step in the strategy. When you step from one to the next visualise the IR, see yourself carrying the step out. What do you want to see, feel, hear as you do this step in the strategy? Imagine this. Talk yourself through the step. Eg “Ok, I’m visualising this. Next Step. I’m talking this through with someone. Next step. I’m feeling confident that this is the right decision” Etc. In our NLP Practitioner course we want you to practice discovering and noticing strategies. Notice the sequence of IRs that take place in your own thoughts in order to produce certain behaviours. We use a buying strategy to illustrate this process. Once you have completed the buying strategy exercise you can then find it easy to start noticing other strategies and use Submodality exercises and anchoring to create change where needed. In our NLP Master Practitioner course we take this concept to another level, again we use a buying strategy to give you practice. You will work with someone else to discover their buying strategy. Once you have completed this exercise you can then discover other people’s strategies with ease and help them create excellence in areas that are important to them. You can also help them overcome mental blocks, phobias, etc. One area that you will use your skill with NLP strategies is in the area of modelling. In the NLP Master Practitioner course you will carry out a modelling project with the objective of acquiring a skill that you would like to have. You will find someone who has that skill and does it perfectly, seemingly with ease. You will model this skill by breaking it down into a sequence of thoughts and behaviours. You will discover their strategies in doing the skill, discover their values, beliefs around the skill and you will then start applying the strategies, values and beliefs yourself in order acquire the skill. With enough practice their strategies and behaviours will become your strategies and behaviours and you too will carry out the skill perfectly and with ease. NLP Strategies is a term that describes any internal and external set of experiences which consistently produces a specific outcome. It is what it is that you do in your mind in the process of doing something. Strategies are different from states in that they are a process, state is a state. Strategies are related to states in that they both involve making internal representations based on the information that is coming in from outside. A strategy is a process that can lead to a state. The state that you are in can determine the strategy that you run. Intended to explain how people process information and create complex behaviours. A trigger is set off, and information is gathered, which becomes part of the first test and the process begins. It operates for a while and it tests again, to see if it is complete. If it is not complete, it goes back to a certain point, and then comes back to the test again. It continues this loop until it gets a positive outcome, then it exits. Eg Ve= Visual external, seeing something through your own eyes. Vi= Visual Internal, seeing a picture in your mind. Anchor – current steps, new steps, chain. Assuming that you want to add in the Vc (Visual Construction) element then anchor that. We recognise that this could all read like blah to you if you haven’t been through an NLP Training Course. 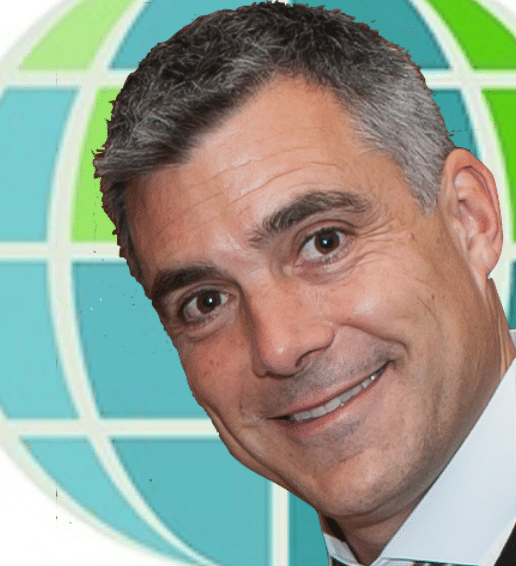 We guarantee that if you take a training with us, you will have your thinking changed for good. 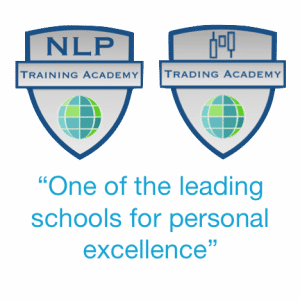 Personal Development and growth is our objective and you can sample our training from the comfort of your own home via our NLP e-Learning centre. Read more on NLP Strategies.